Has the worst happened and your precious tech has been lost, stolen or broken? Sorry you've had to go through that hassle but if you're here, take hope...we're guessing you must have been sage enough to obtain gadget insurance, and now is the time to cash in on your forward planning. From here on out you can enjoy the path to getting a shiny new gizmo to replace your dearly departed digital device. So it's time to get your claim in, which means carrying out the correct process so the replacement kit can be with you as quickly and easily as possible. Here's everything you need to know to make that happen, fast. What can I claim for on gadget insurance? This is a pretty broad list and includes all the basics you'd imagine but do bear in mind it will vary from insurer to insurer, so it's a good idea to make sure that you get the correct gadget insurance for your needs at the outset. Generally speaking it should cover you for loss if you've misplaced your device – presuming you've not left it somewhere silly like on a table in a pub and gone to the toilet. Theft, accidental damage and mechanical breakdown are also generally insured. But that will all be detailed in your policy documents and schedule. What gadgets and claims doesn't gadget insurance cover? Sorry if it sounds like we're dodging the question, but it entirely depends on your policy. Often scratched, dents and other superficial damage can't be claimed for. And many insurers won't cover refurbished and second-hand tech. It's probably easiest to point you in the direction of your policy documents or our dedicated advice on what gadget insurance doesn't cover. What steps do I need to take to claim on gadget insurance? There are a few simple steps to take to make this process easy. The key here is to make sure you get this done within 48 hours of the loss or damage happening - that will make things much easier in the long run, and is even a requirement of some tech and iPhone insurance providers. In the case of theft you'll firstly need to report that to the police by calling 101. You will then be given a crime reference number that you'll need to note down so you can pass it on to your insurer. 1. Call your insurer on the claims number. This can be found on your policy document but if you don't have that you can easily find it online with a quick search. 2. Have details of your claim to give over the phone. This will be what happened to cause the loss or damage. This should be done over the phone without the need to fill out any forms, in most cases. 3. You may be asked to send in some supporting documentation. This may include a proof of purchase – if you don't have that, a credit or debit card statement may do to show you bought it, or even a photo of you with the gadget to prove you own it. What happens after I've applied to make a claim? Some insurers, depending on your policy, may remind you that you have to pay an excess to claim on your policy. Claims are generally settled within two working days. That means you'll hear if you have or haven't qualified to receive cover within that time. If you do get cover you'll either be sent a replacement device, have yours repaired, or be sent the value in cash or cheque form. 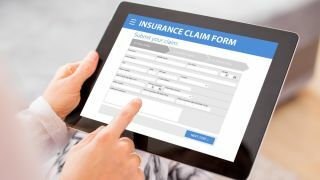 Will making a claim affect future premiums? In some cases the insurer may ask you to pay off the rest of your policy in order for you to claim. Failing that the claim may end your cover meaning that one replacement or repair ends the contract of cover. You will then need to apply for more cover for your new or repaired device. If you opt to get cover from the same insurer again then it is likely that you may be charged more because you have made a claim. This is a good reason to check out our best gadget insurance guide to find the best possible cover price for your new gadget insurance policy.